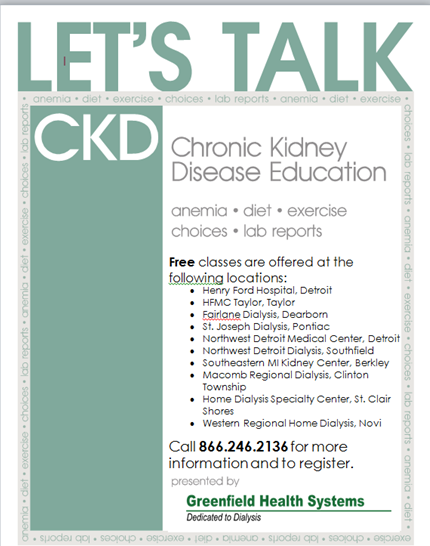 The “Let’s Talk” CKD class is an introduction to Chronic Kidney Disease (CKD). You will learn about the kidneys and Chronic Kidney Disease. The class covers the kidney’s “jobs”, the stages of kidney disease, how to understand your lab reports; anemia, phosphorous, potassium and calcium; and how they impact the health of your kidneys. 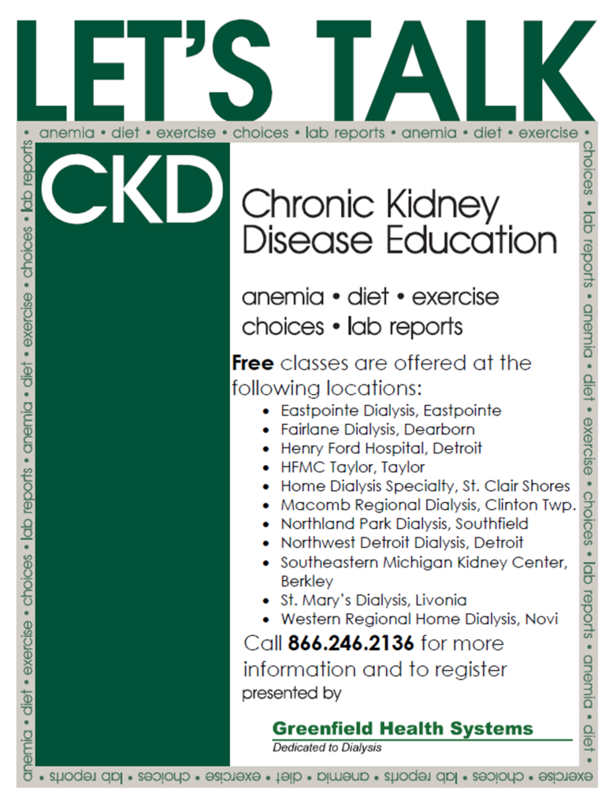 The class reviews ways to slow down the progression of Chronic Kidney Disease, including medication and diet. You will also be introduced to all the treatment options for Stage 5 Chronic Kidney Disease including transplant, home dialysis and in-center dialysis. The class is two hours long, meets one time, and is available to patients and their significant others. The class is free and you do not have to be a Henry Ford patient to attend. Please call Victoria at 248.642.5038 for class times and to register.